Variable universal life insurance is a form of universal life insurance that has a death benefit and an investment component. As long as your premiums are paid, your variable universal life insurance policy will stay in place. As with other universal life insurance policies, it has the potential to accumulate cash value over time. However, this cash value functions differently than other universal policies. Note: Premiums are not guaranteed and will vary based on coverage need, geographic location, health, and other factors. Update your details below to find a personalized policy that meets your needs. Unfortunately, we are currently unable to find life insurance policies that fit your criteria. Please change your search criteria and try again. Flexibility is the key asset of a variable universal life insurance policy. With variable universal life insurance, you’ll get permanent life insurance with an investment component that accrues a cash value which you can borrow against. The payout upon the insured’s death - called the death benefit - is usually a constant figure. The other piece of your variable universal life insurance policy is a portion of the money you pay into the policy every month is saved or invested, meaning your policy will accrue cash value. Variable universal life insurance may be viewed as a blend between insurance and an investment vehicle. Unlike regular universal life insurance, the investment element of a variable universal life insurance policy has sub-accounts operating like mutual funds. The values of these sub-accounts may vary as they’re invested in the stock and bond market. This means you could see an increased rate of return as opposed to universal life or whole insurance policies. With variable universal life insurance, unlike other insurance types, the policy holder has control over their own investments. The policyholder is only required to pay enough to cover the death benefit and fees each month, any additional premiums that you may pay are optional and adjustable. When you choose a variable universal life policy, be sure to check the management fees of the investment options. Unlike other universal life policies, this is a fee unique to variable universal life insurance policies thanks to its usage of mutual funds. In fact, critics of variable universal life insurance note that high fees in general are a drawback to this type of life insurance. As life insurance is meant, in part, to provide for your beneficiaries after your death, you will need to consider what their financial needs will be when deciding how much coverage to get with variable universal life insurance. Another factor that you may want to consider is funeral costs as many people want their life insurance to cover their funeral expenses. Depending on the terms of your policy, you may be able change your death benefit amount as the circumstances of your life change. For example if as you age you decide you want a larger coverage amount, you should be able to increase that, though you may have to undergo another medical exam. Conversely you may be allowed to decrease the amount of your death benefit, as well. Some insurance companies offer variable universal life insurance quotes online. You may be asked to provide details about yourself, such as your state or zip code, address, date of birth, gender, height and weight. Chances are you’ll have to answer questions about your health status and personal habits, including if you’ve ever been diagnosed with high blood pressure or elevated cholesterol. You may also be asked if you have other known significant medical conditions such as diabetes or depression. One likely question to obtain a quote from any insurance company is whether you chew or smoke tobacco. If you have used tobacco, you may need to provide the duration that you’ve used it. Other factors that could affect your variable universal life insurance quotes include your driving record, hobbies and occupation. Because a variable universal life policy is tied to the market, the investment options in this policy may fluctuate with market changes and lose value. If you’re comfortable with that fluctuation – which could go up or down depending on the stock market – a variable universal life insurance policy might be a good choice for you. With this life insurance policy, your premiums are adjustable. You may choose to pay a hefty one-time premium and skip paying the next premium. Or if the cash value of your policy is adequate, you may decide to let that cash value cover the costs of your policy. When choosing an insurance company to buy a policy from, it’s important to look at a company’s credit rating, how long they’ve been in business and consumer reviews. 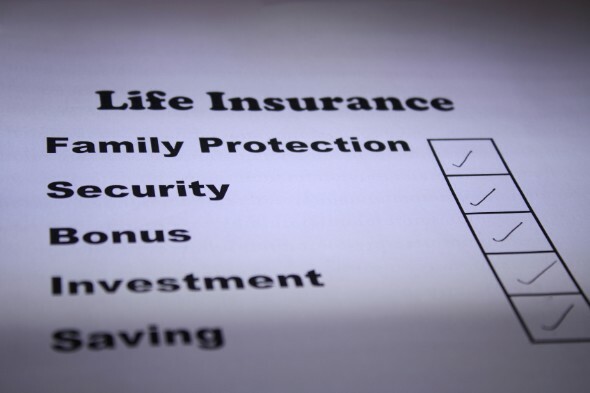 Nationwide Insurance Company, Voya Financial, American General Life Insurance Company and New York Life Insurance Company all offer variable universal life policies. Prudential Life Insurance Company offers two variable life insurance policies so you can pick an option that is best-suited for your risk level and tolerance in the investment portion. Also, if you use chewing tobacco, Prudential Life is a great option for you as they don’t use the smoker’s rate for chewing tobacco. SmartAsset's interactive map highlights the healthiest counties across the country. Zoom between states and the national map to see data points for each region, or look specifically at one of the three factors driving our analysis: Length of Life, Health Behaviors and Healthcare Access. Methodology Our study aims to find the healthiest places in the country. An individual's health is key to assessing life expectancy, which is the ultimate determinant of the price one pays for life insurance. To find America's healthiest places we considered three factors: Length of Life, Health Behaviors and Healthcare Access. The first factor we considered was the premature death rate in a county, specifically the years of potential life lost before age 75 per 100,000 residents. This provides an inverse measure of life expectancy. In other words, this number shows the rate at which people die before the age of 75. We indexed this factor to generate the Length of Life Index. Second, we created a health behaviors index for each county. This reflects the counties with the healthiest behaviors, as measured by three data points: the percentage of adults that are current smokers, the percentage of adults that are obese and the percentage of adults that report binge or heavy drinking. We indexed each of these data points on a scale of 0 to 100, took a weighted average, then indexed the final number to generate the Health Behaviors Index. Third, we considered access to healthcare as a secondary measure of how healthy each county is, given the impact this has on health outcomes. We looked at the rate of primary care physicians per 100,000 residents. We also looked at the uninsured rate, or the percentage of population under age 65 without health insurance. We indexed each of these data points on a scale of 0 to 100, took a weighted average, then indexed the final number to generate the Healthcare Access Index. Finally, we used a weighted average of the three indices above to yield an overall healthiest places score. We used a 50% weighting for Length of Life, a 30% weighting for Health Behaviors and a 20% weighting for Healthcare Access. We indexed the final number so higher values reflect the healthiest places.